Description: A quick attack that deals a small amount of damage but then applies Dark Wound on the target, dealing 100% 200% of weapon DPS over 8 seconds. time per stack, immediately Stacks up to 5 times and heals healing you for twice the damage dealt at maximum stacks. this amount once stacked. Lasts 8 seconds, can be refreshed, stacks up to 5 times. Also applies Cracked Soul, which increases the target's damage taken by 10% for 8 seconds and stacks 5 times. Note: Deals 151% weapon damage. Description: A quick attack dealing physical and magical damage, improved by the number of Dark Wound stacks on the target. Applies either Feared or Despaired. Feared reduces the target's dodge by 50% and Despaired reduces their crit rate by 50%. Always hit but can't crit. Description: A strong attack which deals weapon damage plus an amount derived from your current HP and MP additional damage increased the closer you are to death. Description: You deal 10% 15% additional damage with physical attacks. Description: If Dark Wound is on the target, the caster will take additional damage per attack for 10 seconds, but will add some of the amount taken to their next autoattack. Otherwise, applies a 3 second stun. Also increases player haste and crit chance by 20% if Dark Wound is on the target. Consumes 20% of max hp. Description: Feared throughout the history of time, the doom knight shows little remorse for the living. Sympathy is only derived from brute force. Description: A quick attack that applies Dark Wound on the target, dealing 100% of weapon DPS over time per stack, immediately healing you for twice this amount once stacked. Lasts 8 seconds, can be refreshed, stacks up to 5 times. Description: A quick attack that applies Dark Wound on the target, dealing 40% of weapon DPS per attack every tick, immediately healing you for twice this amount once stacked. Lasts 6 seconds, can be refreshed, stacks up to 5 times. Description: A quick attack dealing damaged based on weapon DPS, mitigated by the number of Dark Wound stacks on the target. Required to accept the 'Oblivion Blade of Nulgath' quest. Required to accept the 'The Doom that Looms' quest. 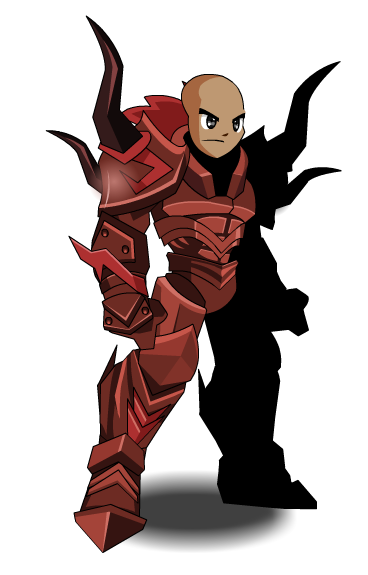 Required to access the Classic DoomKnight Shop. 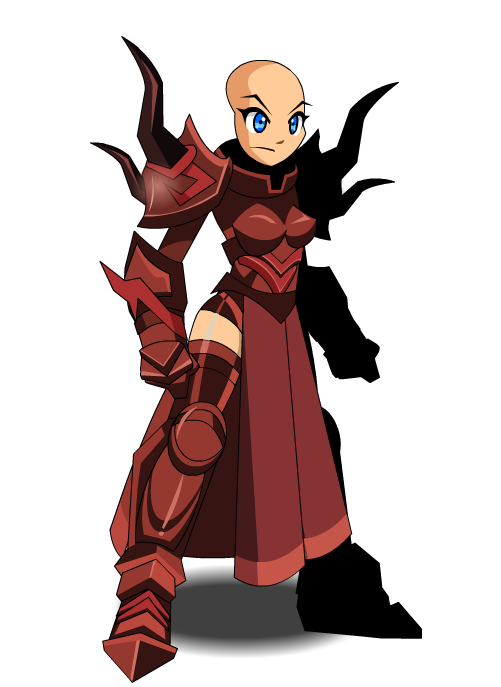 This class has the same skills as DoomKnight (AC). Thanks to Abalanar, Dragarr, imeans, mturf, Valosity, Weena and .Shadow//.